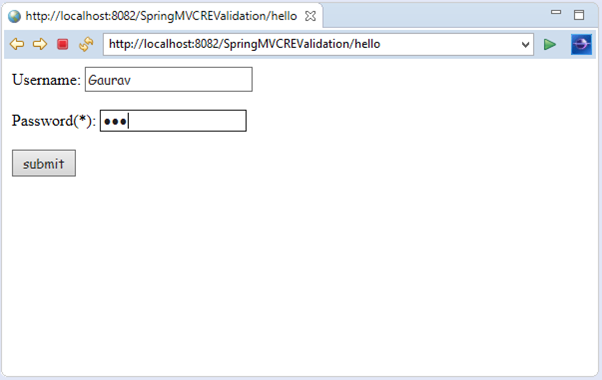 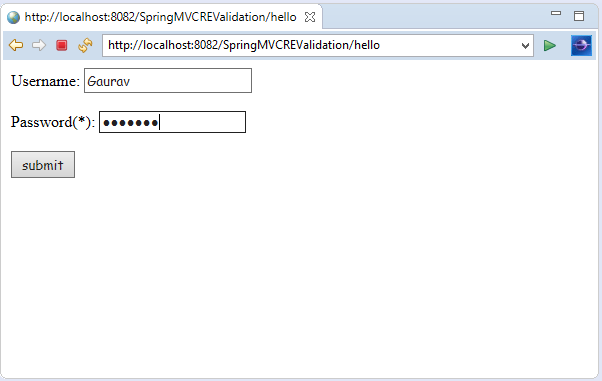 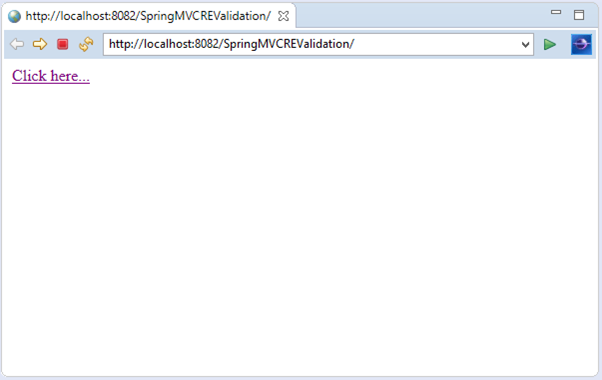 The Spring MVC Validation allows us to validate the user input in a particular sequence (i.e., regular expression). 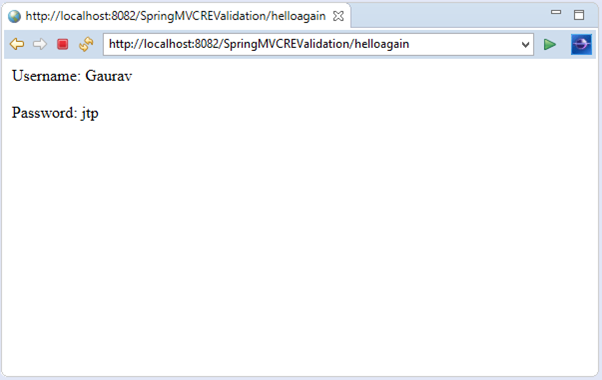 The @Pattern annotation is used to achieve regular expression validation. 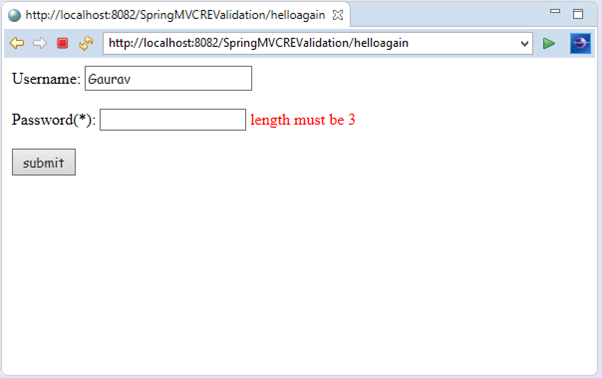 Here, we can provide the required regular expression to regexp attribute and pass it with the annotation.